Synopsis: (from Goodreads) Greece in the age of heroes. Patroclus, an awkward young prince, has been exiled to the court of King Peleus and his perfect son Achilles. By all rights their paths should never cross, but Achilles takes the shamed prince as his friend, and as they grow into young men skilled in the arts of war and medicine their bond blossoms into something deeper – despite the displeasure of Achilles’ mother Thetis, a cruel sea goddess. But then word comes that Helen of Sparta has been kidnapped. Torn between love and fear for his friend, Patroclus journeys with Achilles to Troy, little knowing that the years that follow will test everything they hold dear. Review: This book is everything an epic retelling of mighty Achilles should be. 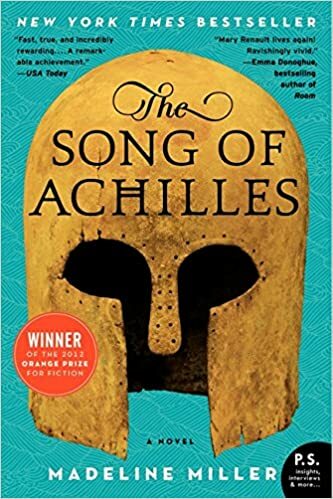 In the beginning of the novel, as Patroclus’ backstory was being introduced, I started to feel some type of way because I always loved Patroclus’ story and Madeline Miller’s telling of it wasn’t what I remembered at all, but when he is sent to live with Achilles, I stopped caring about that completely. The relationship between these two heroes grows slowly and softly and sweetly in a way that proves just how passionate about the classics Miller really is. As Achilles and Patroclus grow older (not that old, they’re barely teenagers at the start of the Trojan War), they cannot avoid the world forever. The dynamics between all of other characters shift, but the bond between Achilles and Patroclus stays steady. I knew how this was to end, obviously, but JESUS did I cry. The best of the Greeks indeed. Patroclus’ love for Achilles, and Achilles’ lust for legacy create a beautiful and tragic story of love and honor. Thetis, I hated you, but in the end, you did right by your son. Definitely looking forward to more from Madeline Miller after this. Synopsis: (from Goodreads) Sethe was born a slave and escaped to Ohio, but eighteen years later she is still not free. She has too many memories of Sweet Home, the beautiful farm where so many hideous things happened. Her new home is haunted by the ghost of her baby, who died nameless and whose tombstone is engraved with a single word: Beloved. 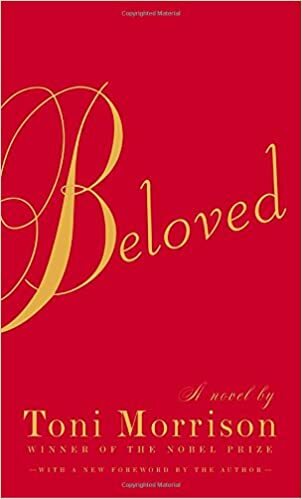 Review: I admire Toni Morrison’s writing as much as I admire any writing out there. She is able to create complex characters with ease… characters you come to care deeply about. Sethe is as complex as they come, and after a while, you begin to understand the decisions she makes, even if you could never understand or fathom the horrors she’s lived through. There’s a lot to this story — hauntings, magical realism, love, tragedy, horror. The plot moves swiftly in three sections of a narrative, each more intense than the last. The intensity of the story, the intensity of the trauma, that’s what makes the story so beautiful and difficult to read. Toni Morrison, like Sandra Cisneros, holds a special place in my heart as a reader and would-be writer. If I could do just an ounce of what they do in their writing, I would feel accomplished. Review: I read this book on the train to New York City last winter. It was totally engaging and I loved the lead’s sidekick, Erg. 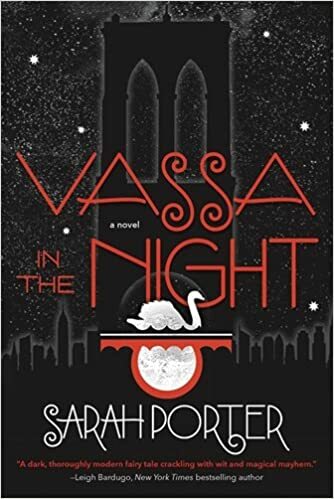 A little bit of magic, a little bit of suspense, a little confusing, this story was beautifully written. Based on a Russian folktale, it’s got a lot of lore and wonderful plot points. This is seriously on my list of favorite books of all time. Sarah Porter crafts a pretty fantastic story about an outcast that has to save the world. The story is just plain beautiful, and the mystery and power that’s wrapped around the tale had me going back to reread sections just to kind of marvel at it. Lame? Maybe, but I feel no shame.